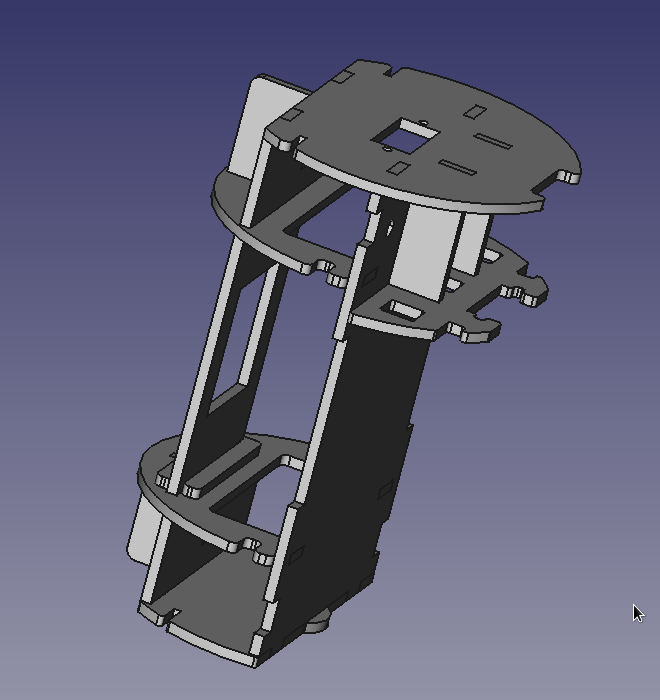 I have all the little bits for the electronics chassis modeled now. I think all these parts will be cuttable for me. 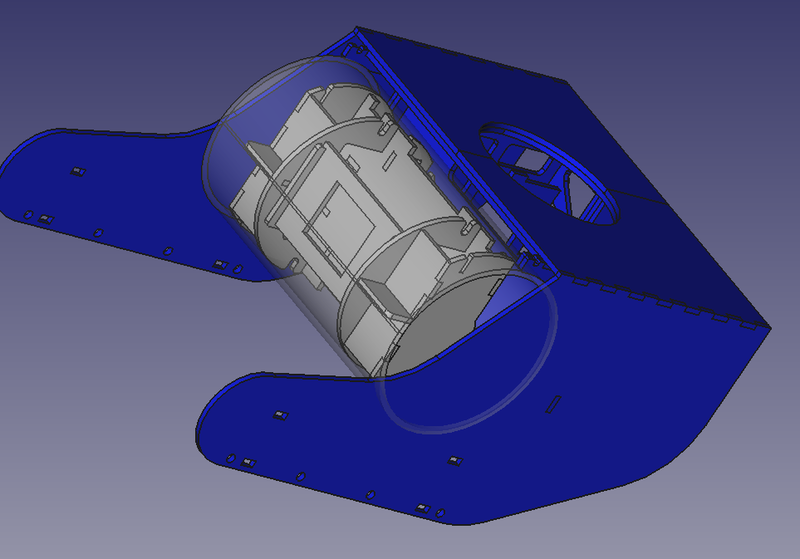 I still have to model the endcaps for the tube and some minor cleanup. Then it should be ready to cut. In the full assembly picture below, I don’t know why the edge of the tube is showing through the wall of the shell. 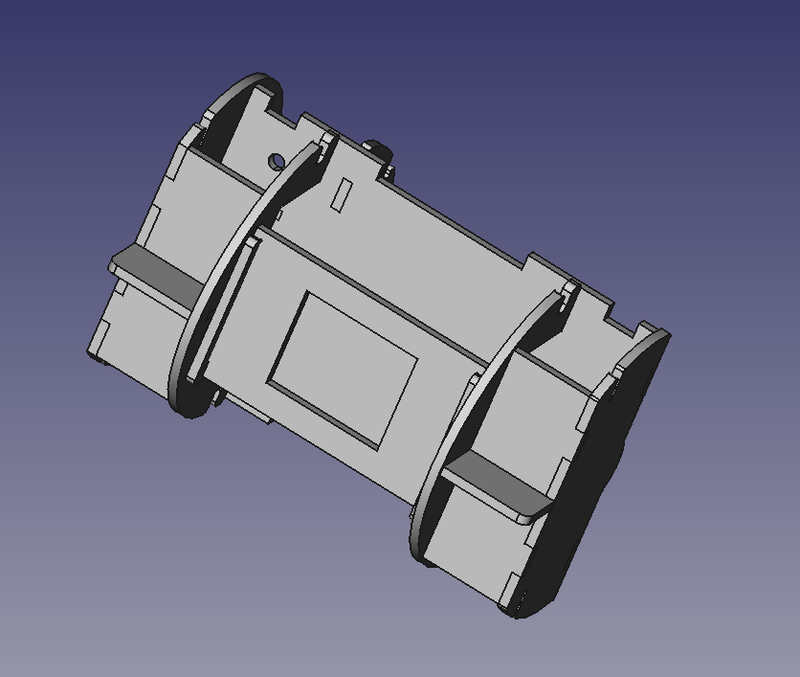 It isn’t penetrating and the shell isn’t set to transparent but FreeCAD’s rendering is goofy.